MOSCOW, January 24. /TASS/. The US has sent an official request to hold a session of the UN Security Council on Venezuela on Saturday, January 26, the US mission to the UN’s Twitter account informed. On January 23, Juan Guaido declared himself acting president during an opposition rally in Caracas. Venezuela's incumbent President Nicolas Maduro described these developments as an attempted coup organized by Washington and said he was breaking diplomatic ties with the US. The Lima Group member-countries, except for Mexico, as well as Albania, Georgia, the US and the Organization of American States (OAS) have already recognized Guaido as Venezuela's interim president. Some EU countries spoke in support of Venezuela’s parliament, expressing hope that elections will be held to resolve the crisis. Russia, Bolivia, Iran, Cuba, Nicaragua and Turkey expressed their support for Maduro. 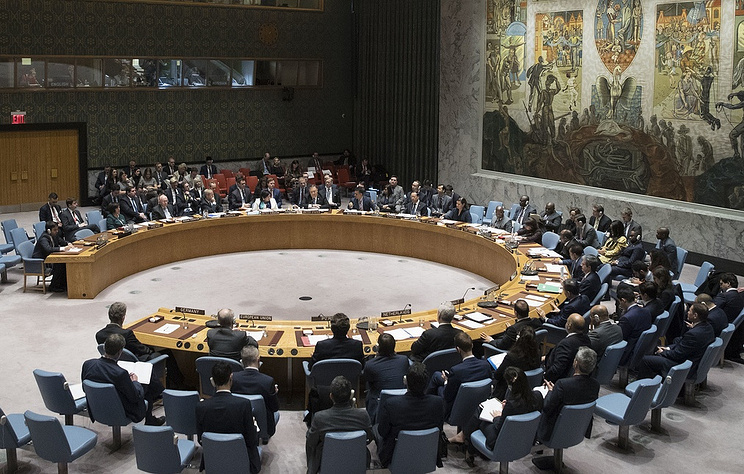 Belarus and China called for resolving all disagreements peacefully and spoke out against outside interference, while the UN secretary general spoke out in favor of dialogue to find a solution to the crisis.